I don’t know about you, but I love the current trend for vintage caravans and camper vans but don’t actually own one – yet. If when I get one, it will have to be a seventies or eighties model in need of a bit of TLC so that I can “rip it out and start again” (suitable almost-pun from 80s band Orange Juice). I’m already imagining an interior of pretty florals and spots in my favourite colours of blue, red, pink and white. The seats will be laden with crocheted throws and there will be enamel jugs and mugs on the shelves. 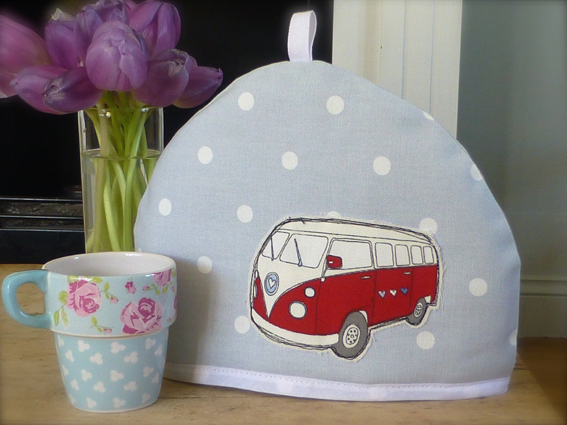 Bunting will adorn both inside and outside my teapot will have a proper tea cosy…except I didn’t have one until today. And this is what I came up with…. Perfect! In fact I liked it so much that I made another one…. 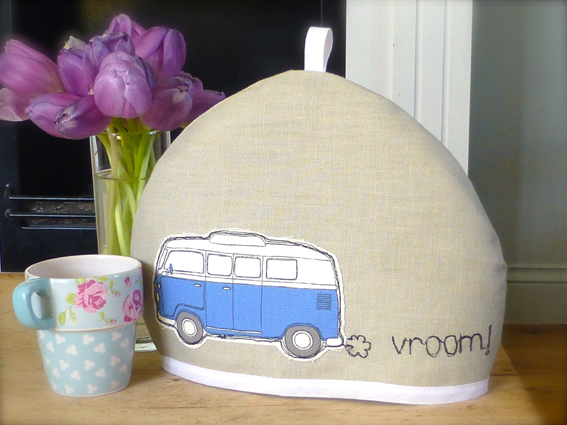 Categories: Sewing | Tags: Camper van, campervan, caravan, cozy, gift, present, tea cosy | Permalink.